Not all Thomas Jefferson faces are created equal. One of the most frustrating things about Thomas Jefferson is how hard it is to categorize him, to pin him down to a single set of consistent beliefs. The Founding Father who said it was best “never to contradict anybody” was an expert at contradicting himself, and he was often accused of being two-faced. Pictured above are two very different Thomas Jefferson action figures. Technically the one on the left is a doll – a lovingly sculpted piece from Effanbee my wife gave me for my birthday. She got it so I wouldn’t have to use the abomination on the right. Hastily purchased from eBay, this glorified chew toy was spawned by someone in China who clearly hated America. Somehow it feels right to own two disparate figures of TJ. If any president is too complicated to be encompassed in a single action figure, it’s Thomas Jefferson. He was a man of many faces, and I shall explore a few of them here. Jefferson is famous for being a walking contradiction because his greatest beliefs are tainted by egregious examples of him doing exactly the opposite. Some modern groups, like the Tea Party, revere Jefferson as a champion of small government and a huge proponent of states rights. They’re absolutely right. He was all those things, especially when he was governor of Virginia. The real test of whether he believed in a small federal government would come when he was elected the leader of it. Spoiler alert: he failed that test. As president, Jefferson treated federal power like my five-month-old daughter treats her Poppin’ Play Piano – with haphazard blunt force. He expanded federal power to a tyrannical level with the Embargo Act of 1807, forbidding all U.S. exports in a misguided effort to avoid war with Britain and France. The man who claimed government shouldn’t interfere with the private business of its citizens suddenly ended the livelihoods of thousands of them with what historian Leonard Levy considers “the most repressive and unconstitutional legislation ever enacted by Congress in time of peace.” After more than two years of the economy tanking and people starving, Jefferson repealed the act, right before he left office. Jefferson is also celebrated as a great defender of the Constitution and strong advocate for a Bill of Rights, but the man dubbed “the apostle of democracy” did not always practice what he preached. He won the election of 1800 against John Adams in part because he condemned Adams’s Alien and Sedition Acts, which made it illegal for journalists to speak out against the government. Once in office, Jefferson repealed the acts like he said he would, but he actually oversaw more prosecutions for sedition than Adams ever did – he just did it behind the scenes using state libel laws. Those hypocrisies are like little baby hypocrisies – itty bitty kitten-in-a-teacup hypocrisies – compared to the greatest contradiction of Thomas Jefferson’s life. It’s one I still struggle to wrap my head around. In fact, I need to enlist my action figure friends to address this one. Together, they can help me channel my complicated feelings about him in a safe way. 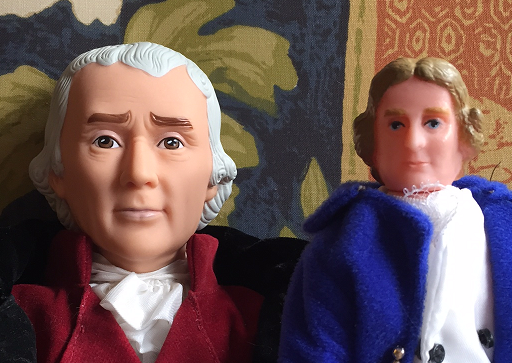 Like a child survivor on Law & Order: SVU, I can point to where on these dolls Thomas Jefferson confounded me. I don’t know if Jefferson’s reluctance to do anything meaningful in his lifetime to end slavery was a calculated move because he thought he could accomplish more if he didn’t rock the fledgling America-boat, or if he was just a weak, selfish man who didn’t want to compromise a damned thing about his cushy way of life. What I do know is he was a man of tremendous influence living in a time when his neighbors were freeing their slaves. Jefferson was absolutely brilliant enough to have found a way to do something more about the problem, but instead he chose to kick the can down the road until it erupted past the point of no return in The Civil War. That, to me, is despicable. You might think I really hate Jefferson based on nearly everything I’ve said about him, but that’s not exactly the case. I definitely do not think he should be held up as a bastion of liberty and limited government, and I think his ideas about freedom are only great when applied to far more people than he intended. On the other hand, I would be honored to shake the hand of the man who invented the swivel chair. If that makes me a hypocrite, then I guess I’m in pretty good company. 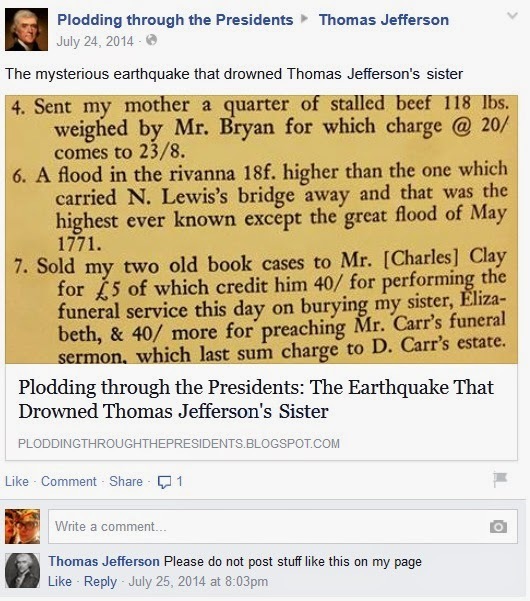 Political posts on Facebook aren’t known for their subtlety, so it makes sense that one of the more popular versions of Thomas Jefferson on Facebook would lack the finesse of its namesake. This Facebook Thomas Jefferson exists to inform people of “PROPER and HONEST American history” which to him means “Thomas Jefferson WAS AND IS NOT A MODERN DAY LIBERAL.” That’s true, because Thomas Jefferson is not a modern day anything. He led the country 200 years ago when it was 2% its current size, so accurately transposing his views onto today’s political arena is impossible. Randomly apostrophizing the possessive “its” and baiting people’s prejudices are equal sins in my book, but being unwilling or unable to do a simple internet search is unforgivable. Ouch! Excuse me for sharing, Facebook Thomas Jefferson. I’m sorry my well-researched treatise on the mysterious death of Elizabeth Jefferson wasn’t to your taste. Maybe if I’d shared a page about “taking back” the government from the oppressive evil regime you believe we’re under, you would have liked and shared it. Laws and institutions must go hand in hand with the progress of the human mind. As that becomes more developed, more enlightened, as new discoveries are made, new truths disclosed, and manners and opinions change with the change of circumstances, institutions must advance also, and keep pace with the times. We might as well require a man to wear still the coat which fitted him when a boy, as civilized society to remain ever under the regimen of their barbarous ancestors. Those aren’t the thoughts of a young idealist; this was Thomas Jefferson in 1813, the wise 73-year-old sage of Monticello. The quote is engraved on the wall of the Jefferson Memorial, but it would fit just as well in a university, a courtroom, or on a rainbow flag. Facebook Thomas Jefferson helped me realize that it’s tempting to pick out things on which we agree with Jefferson, or any Founding Father, and use those to flesh out the characters we’d like them to be. If we align ourselves with the people who founded the country, we can convince ourselves America was meant to be what we think it should be, that this country was meant for people like us. That divisive thinking doesn’t help anyone, but it reminds me of one thing America really was designed to be: a place where we can disagree about what this country was meant to be until we’re blue, or red, in the face. Pinning down Jefferson’s one “true” face is not only impossible; it’s dangerous. Literally. In 1825 an artist tried to make a life mask of Jefferson’s face, but the plaster hardened too quickly and nearly suffocated him. He couldn’t call out for help, but he managed to grab a chair and slam it against the floor, getting the attention of a slave who saved his life. 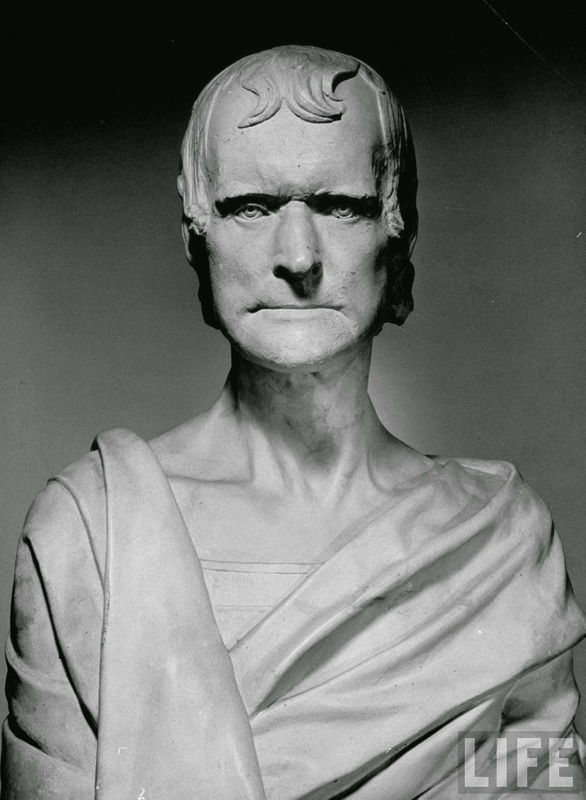 Behold – the true face of Thomas Jefferson, made from that life mask. I think the artist did a great job capturing Jefferson’s feelings about narrowly escaping assassination by plaster. He reminds me of another great patriot. Efforts to represent Jefferson in a single way are as messy as that effort to take a mold of his face. He cannot and should not be defined solely by the words of the Declaration of Independence or by his hypocritical views on slavery. As much as Thomas Jefferson’s accomplishments define him, so do his contradictions. His true face is that of both the apostle of democracy and our barbarous ancestor. What an interesting blog. I am sharing it with my husband. He is a big history buff. He's going to love this. Actually, I need to send it to my father too. What an informative article. I love the doll comic strip. He was certainly a complicated man. Thank you so much for reading and passing it along! If you love your history told by dolls, I recommend http://ploddingthroughthepresidents.blogspot.com/2014/02/10-things-george-washington-loved.html — li'l George is way more expressive and posable than either of my TJs. I love history and all things old and moldy (like me) and especially love learning about influential people of days gone by. I want to check out TJ on FB. 🙂 Thanks for sharing. Please don't post stuff like this on my page.Just kidding! Thank you for reading, and tread carefully on FB TJ's page! This is super interesting to me, considering I know nothing about the presidents of the United States. I'm from Canada so we don't learn all that much of US History! I understand. I know basically nothing about Canadian history except that we failed to capture you in the War of 1812. It's all a blank from then until Degrassi. How interesting! I am going to have my daughter read this. She is into history and I know this would be interesting to her. Might be a project we do for homeschooling! Thanks for sharing! Very cool! Please keep in mind that any swear words your daughter finds on this site were, at some point, used by a president. This was very entertaining. Though I have great respect and affinity for Jefferson in many ways, he certainly had an adept ability to be conveniently hypocritical. Thank for sharing. This is interesting. My sister has always been interested in reading about Thomas Jefferson, I will have to pass this along to her to check out. This was a very fascinating read, I'm going to have to share it with my husband. I'm admittedly not a history buff and don't know much about presidents, but I couldn't stop reading through this. 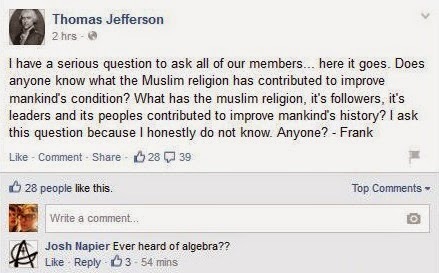 Facebook Jefferson sounds like a jerk, there was no reason not to share your well-informed post. This is so interesting and the way you wrote it is so neat. I'll have to share with my homeschool friends. Very in-depth info. I may share this one with the kids. No doubt they’ll soon be going over this in their history classes next year. 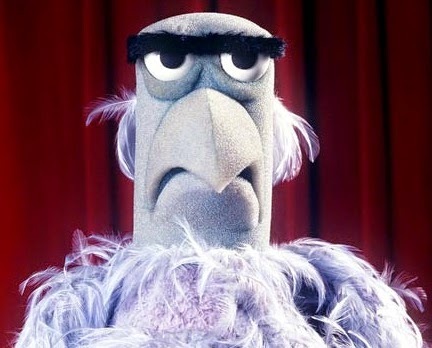 Heh, …now I can never see that eagle again without connecting it to The dark side of Jefferson. Howard, I'm enjoying your site which is very creative. I found you after you commented on my TJ post and identified with another recent first-time father / chronological-presidential-biography reader. Thank you, and congrats! It's funny to be living in the past so much with the presidents while thinking so much about the future now with my little one. I'm about to start Nagel's book on John Quincy Adams and I'm looking forward to it. I'll save your post on it until after I'm done.